Blog The AMP Team Met With Jamil Jivani -- Author of "Why Young Men: Rage, Race and the Crisis of Identity"
The AMP met with Jamil Jivani, author of “Why Young Men: Rage, Race and the Crisis of Identity”, to discuss mentoring throughout Alberta in his journey across Canada on his #RoadHomeCanada. 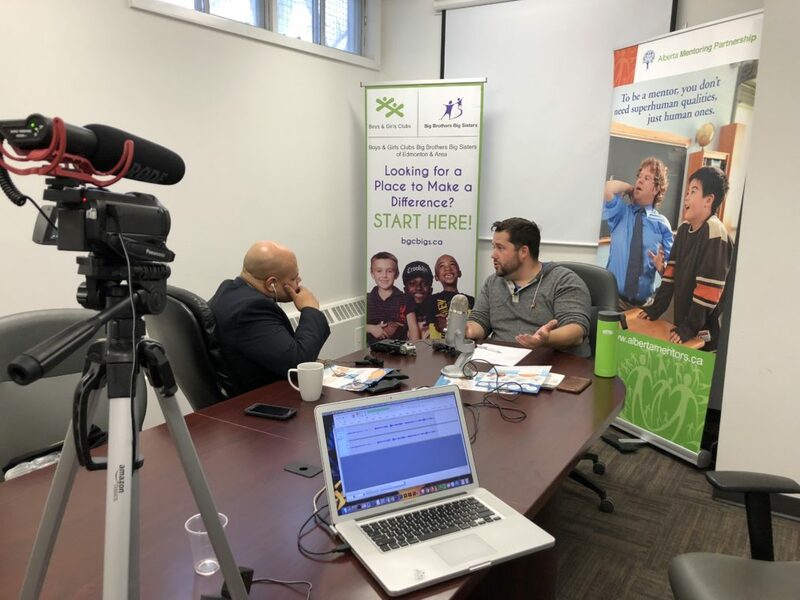 When meeting with Jamil, we had a chance to ask him a couple of hard-hitting questions commonly asked in the mentoring community: Why is it important that men become mentors, and what are some activities that a mentor & mentee can do. Jamil was kind enough to record a some sound bites for us, such as “you’re more inspirational thank you think”. Listen below.